McCormick Spices Up the Workplace with Weight Loss Competition - Hartke Is Online! My name is Jenny Gordon and I work for McCormick, the worldwide leader in spices and seasonings. I must confess that I am a “Biggest Loser” addict. I love the show and I think it’s extremely inspiring to see people lose weight and change their lives. I am an especially big fan of Jillian Michaels, the tough-as-nails trainer featured on the show. Naturally, I jumped at the chance to meet her in person at the Get Radical women’s conference in Crystal City, VA, over the weekend. The conference was excellent and I got a couple of seconds to say hi to Jillian and get a photo taken with her. I also met Kimberly Hartke at the conference, and she asked me to share how my co-workers and I started a “Biggest Loser” program of our own at work. Several of my co-workers thought it would be fun and motivating to start a weight-loss contest at work. It would be modeled after the television show “The Biggest Loser,” however we put a positive spin on our contest and called it “The Biggest Winner.” They needed help figuring out how to run the contest and that’s when I stepped in with my ideas. I enjoy exercising but I don’t need to lose any weight. That made me the perfect neutral person to run the contest. I brought my digital scale to work and left it under my desk. We advertised around the office and got 14 people to sign up. Each person put in $20 up front. The contest ran for 12 weeks. Every Wednesday, I took 30 minutes of my lunch break and went into an empty office. Each person came to “weigh in” with me. I kept a chart for each person and wrote down their weight. I was sworn to secrecy on everyone’s weight so that people felt comfortable participating. It was difficult for some people at first to share their weight with me, but once they got over the initial weigh in, they were fine. Every week thereafter for the next 12 weeks, each participant weighed in with me on Wednesday. 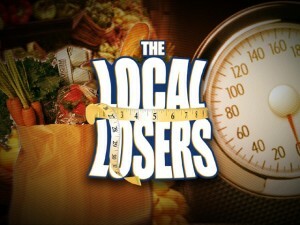 On Thursday mornings, I would send an e-mail update to the group with the percentage of weight lost by each contestant. That way everyone could see who was in the lead. I never bothered listing week to week percentages, just the overall percentage of weight lost from week one. The contest inspired a dose of healthy competition from our participants. Junk food started disappearing out of the office. Co-workers started taking walks with each other during lunch breaks. One co-worker bought the Wii Fit and talked about it so highly that several other co-workers purchased it also. At the end of 12 weeks, our winner, David, was crowned. David lost 34.5 pounds in 12 weeks! He won 75% of the money collected, which ended up being $210! Our runner up won the other 25% of the pot. The contest was so successful that we started a new round right after the new year. We had many returning contestants and several new ones for a total of 18 people. Our final weigh-in will be this Wednesday so we’ll be announcing a new winner. It looks like our winner will be a woman this time, Debbie, who has lost 17.5 pounds so far. We already have interest in repeating the contest again, this time switching it up a bit and having people participate in pairs, just like on the show. All in all, it is a very easy contest to run. All you need is a scale, a place for weigh-ins, and someone trustworthy who is willing to keep track of everyone’s weight loss. It has motivated my co-workers to get healthier! And I’ve been honored to be a part of it all. Although I can not totally agree with what you said, I liked the way how you explained it….